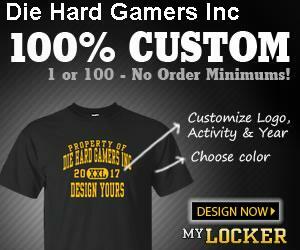 DIE HARD GAMERS Inc. - Home Page - Dual Tourney Weekend! 3 Man Teams will go into a public game with a moderator! Highest kills will get you moved on to the next round in a bracket system. Send a message to DHG DrewNobody. If you need a team, don’t worry! Drew will find you one! This tourney will run in a bracket system. Top 2 Players in each lobby will move on to the next round. Search for the club, “DHG BO4 Zombies Tourney” and apply to join! Please be ready to compete at 8 PM - 10 PM EST on the 24th. Round 2’s will run 8:30 PM EST - 10:30 PM EST on the 25th. Prizes may be upped based on participation. All members across DHG/DHJ are encouraged to participate in these tourneys!